As big data becomes more prominent around the world, the insurance industry is increasingly counting on predictive modeling and big data to succeed. The insurance industry is mainly based on prediction and it’s characterized by a high-risk activity profile. The highly competitive character of the industry and the ever-changing consumer behavior makes it mandatory for small and large insurance companies to invest in accurate and effective ways to predict consumer behavior and minimize their risk. 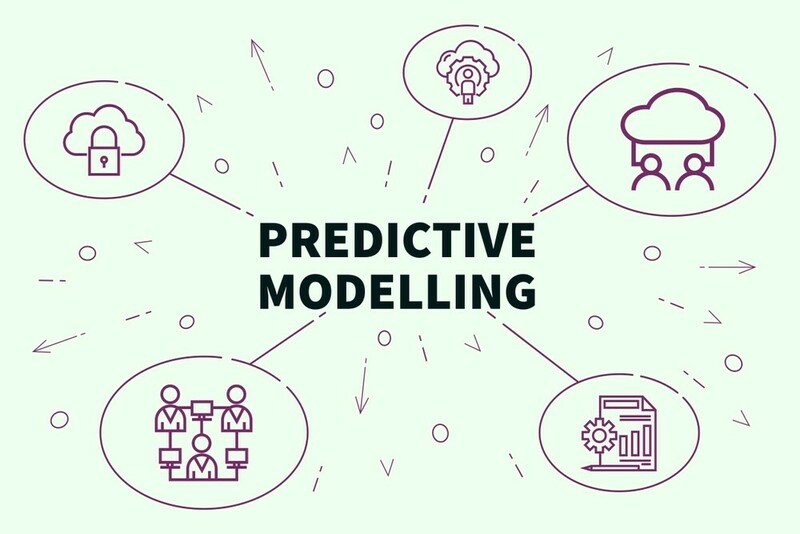 Nonetheless, predictive modeling and big data, as well as data analysis, fundamentally mutate the way in which such enterprises carry their activity and create new insurance products. This contributes enormously to making this business model a more scalable one, which allows insurance companies to leverage their activity. But this happens only if the data is properly used. Analytics and big data capabilities allow insurance companies – when used properly – to assess and minimize their risks, but also tailor more insurance products that suit each consumer’s needs and expectations. More about the ways in which insurance companies can benefit from the power of data in the following paragraphs. Insurers nowadays can use predictive measurements and use those to assess their company’s risks and vulnerabilities. It is impressive how auto insurers can use the data delivered from one’s automobile or smartwatch’s socio-geographic coordinates and predict if a policyholder is likely or not to be involved in a car crash, have their vehicle stolen, or be subjected to other events. Besides the data that is used in the process comes from in-vehicle telecommunication devices, health trackers, and exogenous data such as the road conditions or the safety levels of the neighborhood. This is one of the most impressive ways in which insurers can maximize the data that is usually stored on various mediums: to tailor and design policy premiums. But not only auto insurers use big data and data analysis to minimize their risk and correctly predict it. The health insurance industry does the same. Because wearables and health trackers have increased in popularity tremendously and are nowadays accessible to almost anybody, health insurance companies use the data made available by those to assess health risks and vulnerabilities in their consumers. Many insurers even offer promotional packages for those clients that use wearables and offer access to their data. Ethical and privacy concerns have arisen already, in this case, and many debates have started. But the potential in terms of risk assessment of data collection and analysis is an enormous one. Bid data is used for fraud detection scopes across multiple industries, but the banking and insurance industry seem to benefit the most from it. Insurers use predictive modeling and big data to identify criminal intents and fraud. Where humans fail, big data and predictive modeling can identify mismatches between the insured party, third-parties involved in the claim (e.g. repair shops) and even the insured party’s social media accounts and online activity. Fraudulent claims can be identified quite easily. The insurance company will gain a more secure place on the market and decrease the chances of being subjected to fraudulent claims. In the past, insurance companies were betting on loyalty programs to tailor a better customer experience. The industry itself is very consumer-centered and big data seems to make it easier for insurance companies to win their customer’s loyalty. Big data offers insurance consultants more means to become a trusted helper for those in search of the perfect insurance product. Data analysis and the actionable insights offered by it allow insurance brokers to identify gaps in customers’ policies and make pertinent suggestions. This will help insurance companies to bring added value to their services and products. What will generate this for the insurance company? First of all, more sales, and secondly, offering the customer the feeling that the insurer actually cares and looks after them. Fully understand the customer, their behavior, needs, and expectations are vital for insurance companies. This will automatically streamline the purchase process while helping the insurer to offer personalized products and services. Such technologies mutate the way in which health insurance packages are designed, especially. Today, health insurance companies use the information and data offered by wearables and health trackers to track their consumer’s conditions, while effectively helping them to keep those under control. But this kind of information is not exclusively used by insurance companies. Medical providers also use the data generated by wearables to keep a closer eye on their patient’s conditions and their evolution, in the near future a closer collaboration between medical providers and insurance companies. Some insurance companies even assist their customers in improving their health by tailoring dedicated insurance packages for their conditions, while others make recommendations to drivers to improve their driving. Big data can truly create a win-win environment for both insurance companies and their customers. Even in the past, insurers used to automate some simple processes, like compliance checks. However, recently, their automation capabilities have been significantly improved, thanks to big data and various analysis software programs. Repetitive tasks, but also complex processes and loan underwriting capabilities were also automated, thanks to big data and improved data capabilities. Also, the same automation process will soon be working for insurance claims, property assessment, complex customer interactions (chatbot technology) etc. Big data technologies will help insurance companies save time and money, but also human resources while working at full capabilities. Big data will soon allow insurance companies to plan their employee’s activity depending on their training levels but also claim complexity. Insurers will also be able to make smarter and more appropriate financial decisions with the help of the same technologies, by preventing them to sign high-settlement amounts. Big data is present in all areas of our lives, and nonetheless, all industries are changed to their core by the emergence of these technologies and capabilities. Overall, the biggest advantages gravitate around offering the insurer more certainty on their financial decisions but also around offering a profusely personalized experience to the customer.